Kaufman’s photography explores relationships among people, their bodies, and the environments that they inhabit. It also grows from an interest bathing throughout art history (both indoors and out in nature) and the potential for a pictorial space where the body can be represented and celebrated openly. Her work considers the reflexivity in viewing imagery of people fully absorbed by their physical and psychological surroundings. 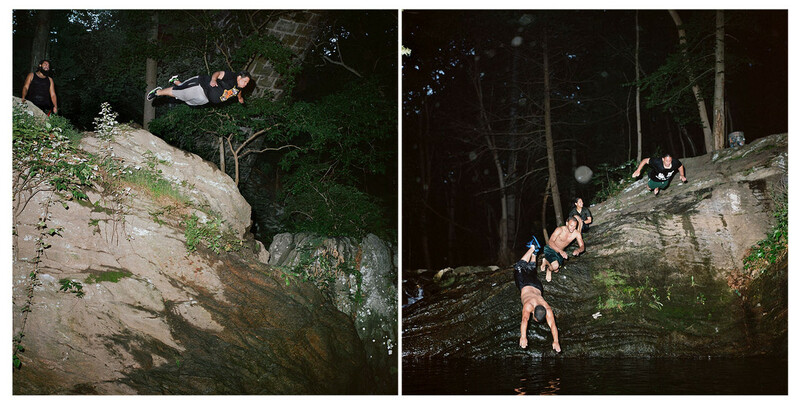 Devil’s Pool stems from Kaufman’s love for Philadelphia’s Wissahickon Park and the respite that it provides. People from all over are drawn to this urban swimming hole as a place to play and revel in physicality and nature. The images depict moments of coherence among our bodies and the world around us. At Devil’s Pool, Kaufman expands her admiring picture of everyday bodies, their owners absorbed in unselfconscious presence.